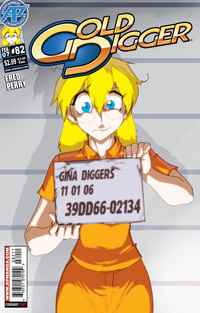 Desperate to save her sister Britanny from being trapped in another dimension, Gina resorted to theft—and was caught! Now the big brain is in the Big House, and doing hard time gets even harder when she has to deal with her bully of a cellmate! Even with the help of fellow inmate Barbra "Crush" Duncan, can Gina face up to her father, her inner guilt, and perhaps the worst of all, the fear of dropping the soap?